Anheuser–Busch was looking for an initiative that would take their Bud & Burgers promotion to the next level. Innovative Group created an experiential activation area that set Budweiser apart at every venue. IG sought out, managed, and created a Bud & Burgers food truck that toured the Southeast region during a two-month period. The truck was fully branded, and made quite an impact on and off the road. 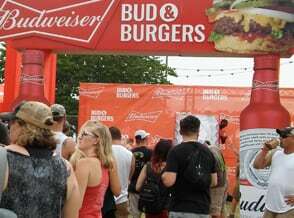 At events, the Bud & Burgers activation area was complete with a giant-sized Plinko game, prizes, bars, burgers, and, of course, plenty of Budweiser beer. 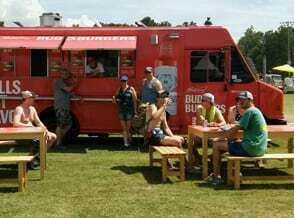 The Bud & Burgers activation area always remained the busiest at any event, and made an impactful impression. The Plinko game kept the lines long and the beer flowing. Other vendors continually asked how we garnered so much attention. The answer was simple: we pride ourselves on being innovative solutionists.